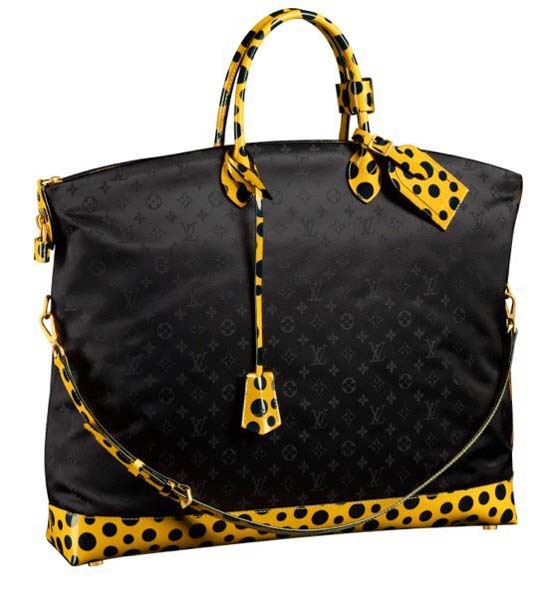 There is quite the buzz about Louis Vuitton's impending collection, Infinitely Kusama, which is slated to launch on July 10. Known to have influenced Andy Warhol and contemporary to George Segal, Japanese artist Yayoi Kusama's avant-garde designs turn heads in its bright and bold pop art style. Her iconic, psychedelic patterns bring a new kind of playfulness to Vuitton's French charm. Combining expressionism, surrealism, feminism and elements of sexuality, Kusama's brilliant work has been featured in the Tate Modern and Museum of Modern Art. 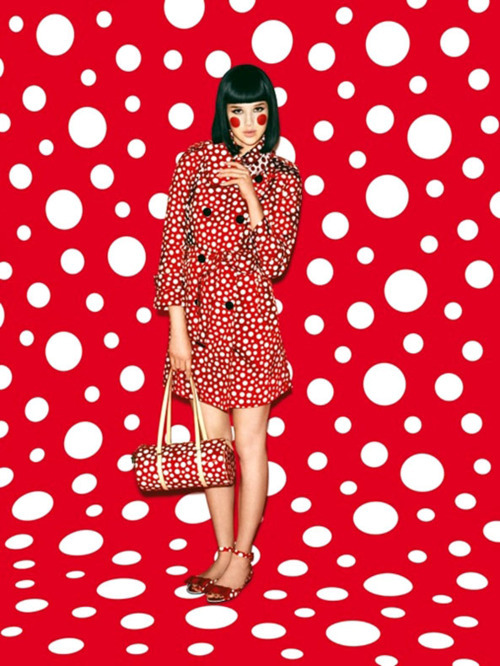 Without a doubt, Yayoi Kusama for Louis Vuitton will be a hit this season! The Papillon bag has the potential to really make an outfit. Tell me how cute the bag and shoes would be with jeans or shorts this summer or early Fall?! And for any fashion + video game/Nintendo lovers out there, how close does that look to the Mario Mushroom? Or an Alice in Wonderland feel? 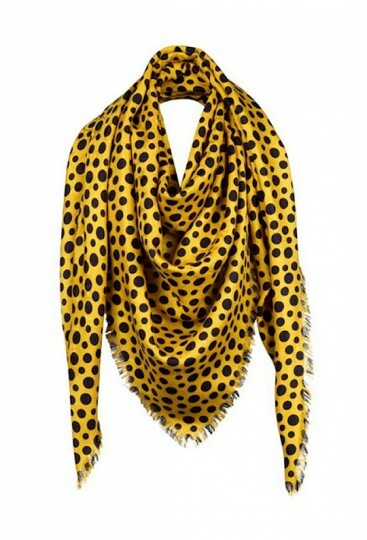 This yellow and black polka dot scarf is fantastic! Just adding this to a little black dress will bring such a breath of fresh air. Want a little Kusama without breaking the bank? 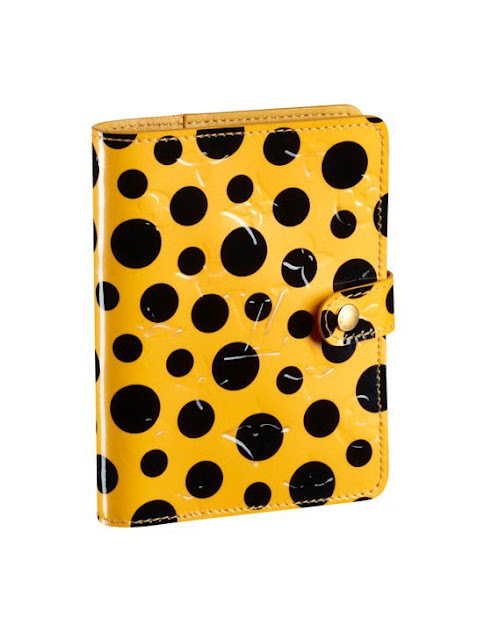 This pocketbook is perfect for scheduling and notes. Add a pop to your purse's contents! Lastly, how can I not mention the Lockit bags? This luggage tote is my favorite. The shoulder strap is a definite seller to me and the bag is whimsical while also being practical. I prefer this luggage tote to the Vernis polka-dot style because I think it looks classier. While fun, I believe the all-Vernis looking Kusama bags can potentially have a way-childish, cheaper sort of look. I would personally go for this more subdued style. Personally, the hardest thing to choose is which color combination. Which combination would you choose--black, yellow, or red?